Scan provided by Dr John Laycock, photo courtesy of David Smith. 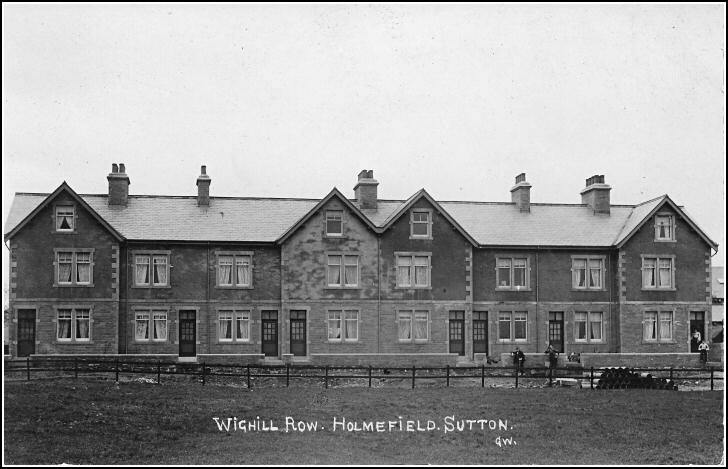 Wighill Row before the houses on the opposite side of what is now Wighill Street were built. "The photograph of Wighill Row (Wighill Street) was taken before 1908. I live on Walton Street, which obviously was not built when this photo was taken, and some time ago David Clarkson who lived in 12 Walton Street found a record of the building costs for Walton Sreet, dated 1908. I recently asked him if he still had it, but he thinks he lent it to someone before he left the street. The total cost of the nine houses in Walton Street was approx £980 and among the tradesmen involved were Barretts the Builders, Alan Riddioughs Plumbers, both of whom are still in existence, and Fred Davy's Plasterers, which was owned in later years by my Father-in- Law Arthur Brook. The iron works in the houses was made by John Laycocks of Keighley who I believe are still going strong. It would be interesting to find this book, so if anybody knows of its whereabouts could they please let me know."